The Fondation Jardin Majorelle, established in 2001, is a non-profit Moroccan institution (decree Nº 2.11.647 of 4 November 2011). Its own resources are used to ensure the conservation and functioning of the garden. 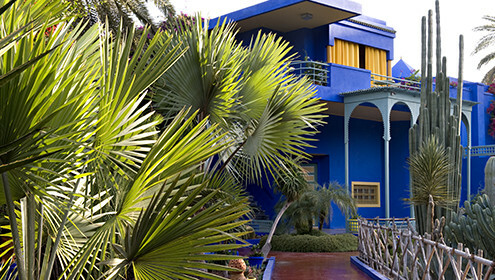 Since 2010, the Jardin Majorelle belongs to the Fondation Pierre Bergé – Yves Saint Laurent, a non-profit French entity. The garden welcomes more than 700,000 visitors per year, whether tourists or Moroccan citizens and residents. It is open every day of the year and has over 140 employees on its team. By appointment, the garden opens its doors without charge to Moroccan elementary school students. The foundation’s resources were used to establish the Berber Museum in December 2011. They have also made possible the new musée YVES SAINT LAURENT marrakech, whose doors will open to the public on 19 October 2017. In 1931, he commissioned the architect Paul Sinoir to build him an Art Deco-style workshop of astonishing modernity. He set out his primary living space on the first floor and turned the ground floor into a vast artist’s studio where he would paint his huge decorative works. His passion for botany led him to create a garden on the property, structured around a long central pool, with a variety of different environments, planted with lush vegetation in which hundreds of birds nested. The garden is a living and evolving work of art made up of exotic plants and rare species that he brought back from his travels around the world: cactus, yuccas, water lilies, white water lilies, jasmines, bougainvilleas, palms, coconut trees, banana trees and bamboos. In 1937 the artist created an ultramarine blue that was both bright and intense: known today as Majorelle blue, he used it to paint and transform the garden, which he opened to the public in 1947. Following a car accident, Majorelle was repatriated to Paris where he died in 1962. The garden then fell into neglect. In 1980, Pierre Bergé and Yves Saint Laurent acquired the garden to save it from property developers and bring it back to life. Following the death of Yves Saint Laurent in 2008, Pierre Bergé decided to donate the Jardin Majorelle to the Fondation Pierre Bergé – Yves Saint Laurent. The garden designer Madison Cox opened a new, environmentally-friendly chapter at the Jardin Majorelle by adding numerous succulent plant varieties native to Morocco, and by replacing ground cover with rose-coloured gravel that echoes the dominant colour of Marrakech. In 2011, the Berber Museum was officially inaugurated under the High Patronage of His Majesty Mohammed VI, King of Morocco. Located in the former painting studio of Jacques Majorelle, the museum offers a rich panorama of the extraordinary creativity of the Berber people, the most ancient of North Africa. 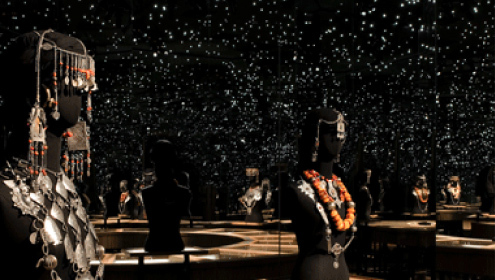 More than 600 objects from the Rif to the Sahara Desert, collected by Pierre Bergé and Yves Saint Laurent, demonstrate the richness and diversity of this still-vibrant culture. Everyday and ceremonial objects attest to the know-how, both material and immaterial, found in Berber culture. Jewellery, a sign of tribal identity and of the social status of the woman wearing it, plays a central role at the museum. Garments, finery and accessories also reflect the Berber identity. The museum visit ends in a room where costumes, weapons, weavings, carpets, decorated doors and musical instruments can also be admired. 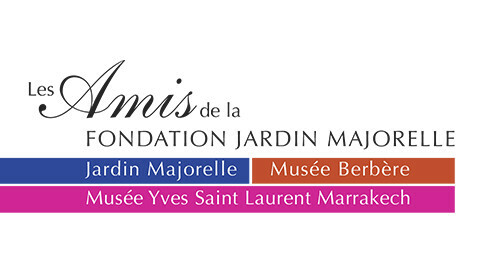 Founded this past June, Les Amis de la Fondation Jardin Majorelle already has over 250 members passionate about Morocco, the arts, fashion, Berber culture, botany, music, theatre, cinema and literature, which all play a part in Red City’s new cultural centre. A website, to be launched soon, will provide detailed information about the association. In addition, we will soon be posting on social media, further enabling us to stay in contact with our friends and fellow members. *Members who subscribe in Paris via the Fondation Pierre Bergé – Yves Saint Laurent can benefit from a tax deduction. • « A Corporate Circle » has been established at 50,000 Dhs / 5,000 € (tax deductible). A dozen Moroccan companies and French companies operating in Morocco have already joined.